Carl Mickey, Jr., Executive Vice President of Mickey Truck Bodies and grandson of company founder W.F. Mickey, has worked in virtually every aspect of the family-owned business dating back to his school-boy days. Now, he says, he is embarking on perhaps his “most exciting” opportunity. Carl, who was most recently responsible for the Engineering Team, will now focus exclusively on Mickey’s corporate expansion, beginning with the pending acquisition of the 13 acres of land and facilities adjacent to Mickey’s existing manufacturing complex in High Point, NC. In this new role, Carl will explore various opportunities for redeveloping this property, which was previously owned and operated by a large furniture manufacturer, to serve Mickey’s record growth in both its legacy and new business product lines. Noel DiBona will takeover responsibility for all Mickey engineering operations as Vice President of Engineering. He joined Mickey in 2010 as Vice President, Mickey Engineered Vehicles to spearhead the implementation of the Mickey Engineered Vehicles team, which offers unique technology to the specialty vehicles industry for medical, oil & gas and emergency response-related applications. He was most recently Vice President of New Product Research & Development. “Noel has been instrumental in developing new products and features for us, and for the past year he has worked directly with our sales teams and customers to understand how we can truly innovate within all industries we serve,” says Dean. Carl and Noel will continue reporting directly to Dean. Reporting to Noel are John Pierce and Brandon Miller. John is responsible for the engineering operations of all legacy products, including sideloaders, van and vending bodies, and EV. 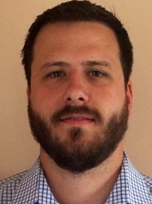 Brandon will manage the Engineering team responsible for oil & gas equipment and new products. John originally joined Mickey in 1997 and was most recently Van Body Engineer. He has 30-plus years of experience designing and manufacturing transportation products, including van bodies, aluminum and steel semi-trailers, beverage trailers and bodies and refuse trailers. Brandon joined Mickey in 2010 on the EV Team, where he transitioned the engineering design process to 3D. He also served as Engineering Manager for MEV, where he played a key role in the development and launch of the company’s oil & gas products. Prior to his new appointment Brandon was Engineering Manager.